A delightful Christmas picture book filled with hilarious characters and dynamic art from the one and only Sandra Boynton! BOOM biddy BOOM biddy BOOM BOOM BOOM! What’s that noise filling the room? 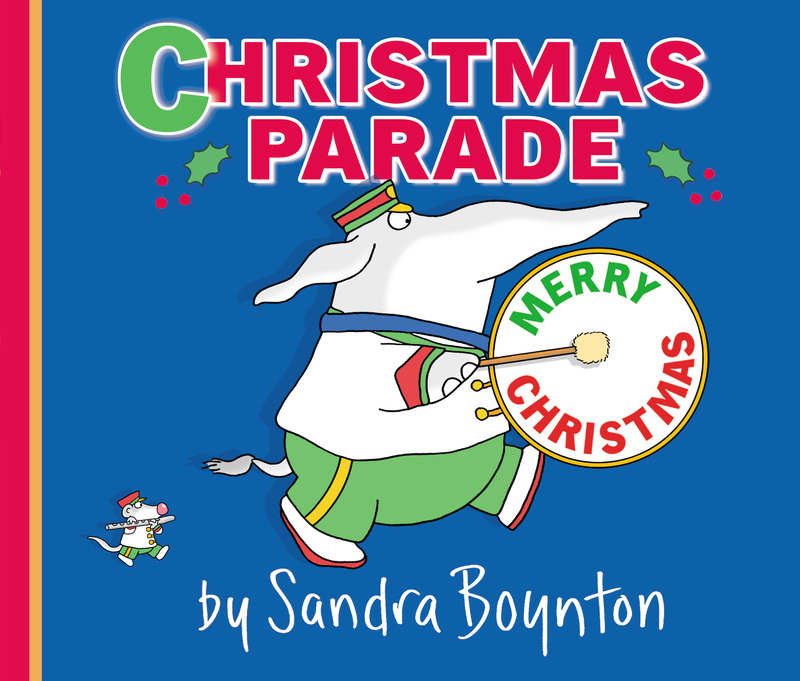 From this rousing beginning unfolds Christmas Parade, a merry picture book from Sandra Boynton. As the dynamic parade of forty-six spiffy and intent animal musicians marches by, young readers will see animals and their instruments in turn: chickens with bassoons, ducks with trombones, mice with piccolos, cow saxophonists, a tiny bird with a large tuba, a glockenspiel pig, even a trumpet-playing Santa rhino—all underscored by marching snares (fifteen hippos, one cat) and one booming bass drum (an intrepid elephant). Written with the irresistible rhythm of a lively marching band and illustrated by the author with those signature Boynton characters, Christmas Parade is a superb present for young children and families everywhere. Biddy BOOM. little piggie stays inside for a twist of a surprise.